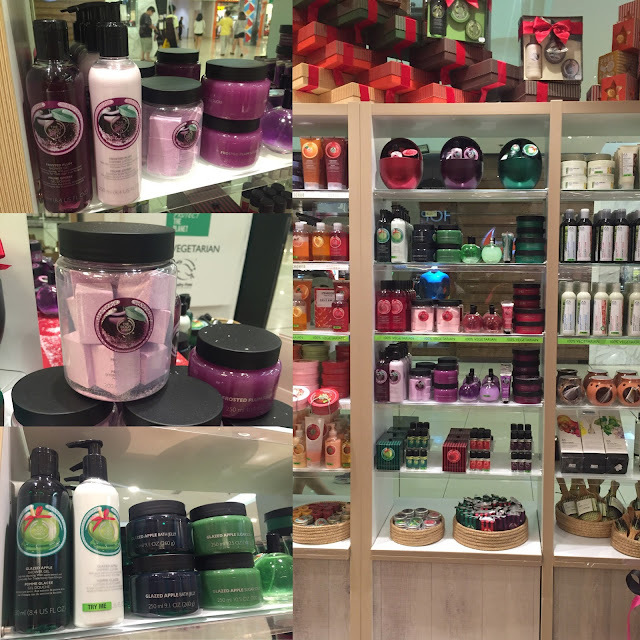 I love The Body Shop!Their products are always so good and they smell amazing as well.Recently they've been moving to e-commerce and making their products available for online purchasing..with free delivery(for a limited time). 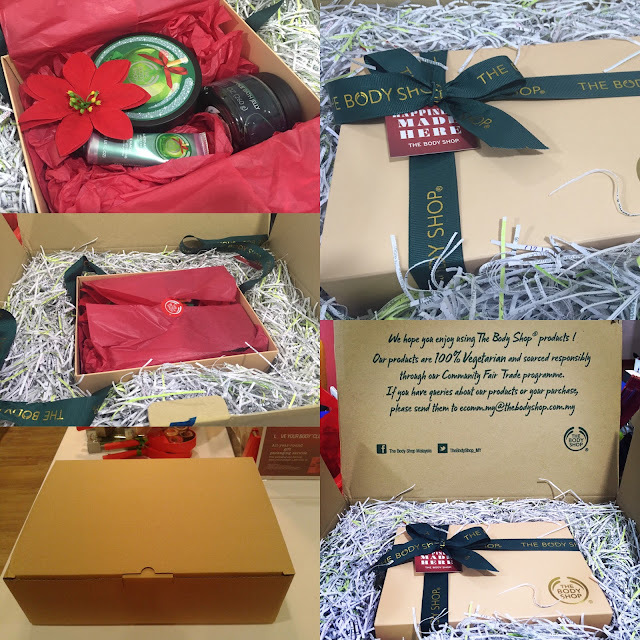 Recently,I was invited by The Body Shop to try out their gift delivery service..in time for the festive Christmas season. 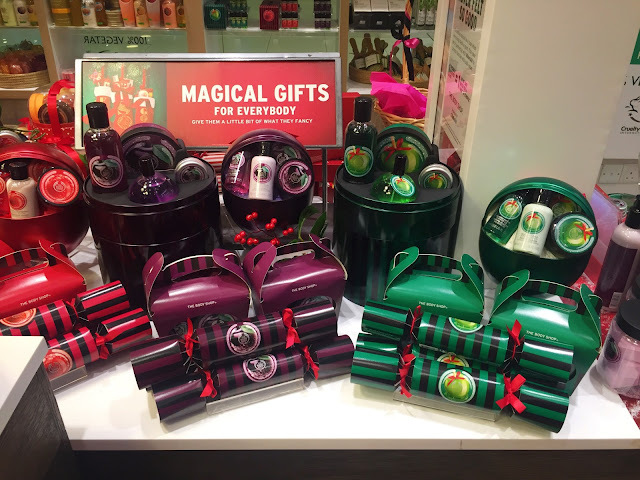 This is a very convenient service for people who have family and friends living all over Malaysia.All you have to do is purchase the gifts for your loved ones at The Body Shop,they will wrap and then deliver it for you!The delivery is FOC when you purchase from The Body Shop.The gift wrapping service is free for The Body Shop members only.But if you're not a member don't worry,you can become one once you've spend rm100 at The Body Shop. 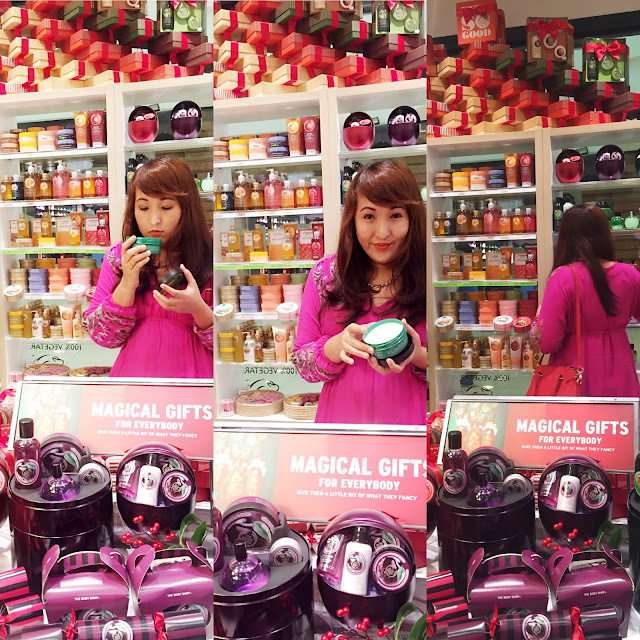 So let me share with you my experience using The Body Shop gift delivery service! When I went to their One Utama outlet,the inside looked very festive.The decoration and the display of the items made it feel like it's already Christmas although it's a few weeks away. The array of products beautifully arranged and the many gift sets was really inviting.I had a really hard time choosing what I wanted. 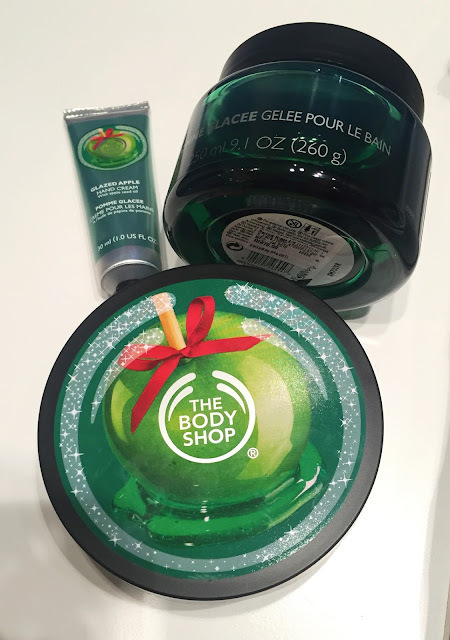 The three range of products from The Body Shop that's only available during the Christmas season is the Glazed Apple,Frosted Plum and Frosted Cranberry.They smell amazing!But my favourite has got to be the Glazed Apple range.They just smell so good. 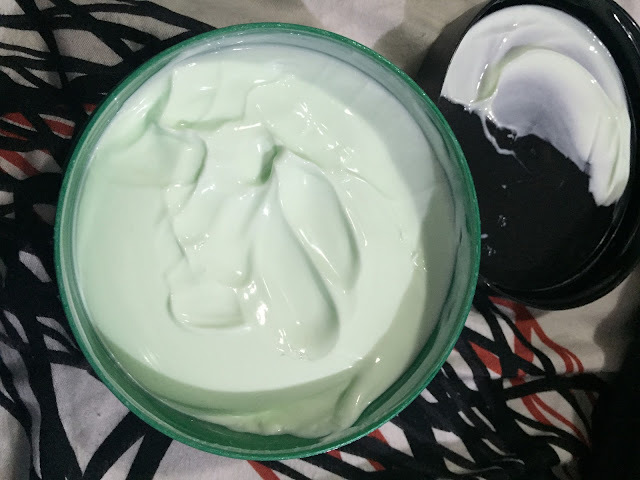 I've used the Glazed Apple body butter before and it smells amazing.So I picked one of the huge tub of body butter and also a hand cream.I was surprised to see that there's a bath jelly.I asked the helpful shop assistance on what it was and she said it's for a bubble bath.Immediately I had to get it! After I've chosen all of the items,the SA wrapped them up for me.She put the items in a beautiful box and added a flower to arrangement before tying it all up with The Body Shop own grosgrain ribbon. Next,I filled up their Poslaju form and wait for my 'gift' to arrive. It arrived within 2 working days!I was surprised to see how big the box was.It was huge and when I popped it open,there was a short info about The Body Shop printed on the inside.If I was sending a gift to someone via this method,I bet they would feel really special and appreciated. Clearly The Body Shop put up a great effort to make the recipient of the gift to feel the festive holiday spirit!I love it and no other beauty brand has done this so far. I would definitely recommend you girls/guys out there to use this amazing gift delivery service from The Body Shop as it's very convenient,the products are of very high quality and they wrapped the gifts so beautifully.So make your way to the nearest The Body Shop outlets and purchase gifts for your loved ones.